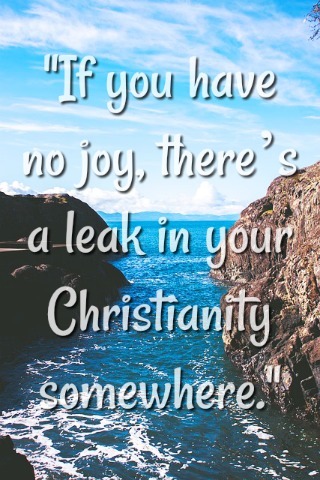 One of the most important things in the Christian life is joy. However, it seems as if far too many believers are living without joy. It seems as if we’re just barely getting by and going through the daily motions of life. We were meant for so much more than this! Let’s find out the key to experiencing joy. True joy is a gift from the Lord. In Scripture we see that joy is one of the fruits of the Holy Spirit. Joy comes from believing God, belonging to His Kingdom, and knowing Jesus as Lord. One easy way to feel miserable on your walk with Christ is to allow your joy to come from your performance. There have been seasons when my joy was coming from my performance as a believer and I felt awful and defeated. I was hard on myself for everything. When your joy is coming from anything other than Christ that is idolatry. One moment you think you are saved, the next moment you question your salvation. One day you think you are deeply loved by God and the next day you feel that God loves you less because you didn’t read your Bible. One thing that I learned about idolatry is that it leaves you dry. It leaves you broken and empty. I remember collapsing on my bed because of my failure to witness effectively. It didn’t take long for God to remind me that my joy shouldn’t come from my performance and my identity should not come from my ability to evangelize. It should be rooted in Christ alone. Sometimes we have to remind ourselves of who God says that we are in Christ. Scripture says that we are more than conquerors, redeemed, we are loved, we are precious in His eyes, His special treasure, etc. God is not looking at you saying, “you messed up today and now you have to work to get in My good graces!” He’s not saying that because we can’t. We mess up every day because we can’t live up to His standard, which is perfection. Sometimes we will get convicted by the Holy Spirit. However, we have to remember that we have been set free by the blood of Christ. In Christ we have no condemnation because His blood and His grace are greater than the things that seek to condemn us. There will be so much joy in your life when you realize that your identity does not lie in how good that you are, but how good Christ is! Where is your joy coming from? Where do you seek to get your joy from? If you can be honest, what do you run to the most? How are you feeding your mind? From personal experience I can tell you that when my devotional life is healthy I experience more joy. When I get too consumed by TV or secular music I begin to feel empty. We were made for Christ and while some things are not inherently bad, too much of those things can take our heart away from Christ. We have to remove these broken cisterns in our lives to drink the water that Christ has to offer. Joy is one of the fruits of the Holy Spirit. However, if we quench the Spirit we can miss out on all that the Holy Spirit has to offer. Most of us are missing the beauty of Christ because our hearts are in other places. Let us repent and have that change of heart that leads us back to Christ. Anything that may be hindering you, cut it off so that you can fully experience Christ. Become more intimate with Him. Go to that special place to get alone with Him and get lost in His beauty. Don’t allow your love for Christ to become common or to remain common. Seek Him and set your heart upon Him. Allow Him to remind you of who He is and what He has done for you on the cross. Happiness is momentary and can be due to current circumstances. However, joy is a lasting inward experience. Pleasure can create happiness, but the effects do not last. True joy in the Lord is eternal. For some people having joy in the midst of trials seems like an impossibility. However, for a believer this impossible thought can become a reality when we fix our eyes on Christ and not our circumstance. Having joy in trials is easier when we trust in God’s sovereignty and His great love for us. Although the situation may seem hopeless we know that the Lord is sovereign, and we trust in Him accomplishing His will in our lives. 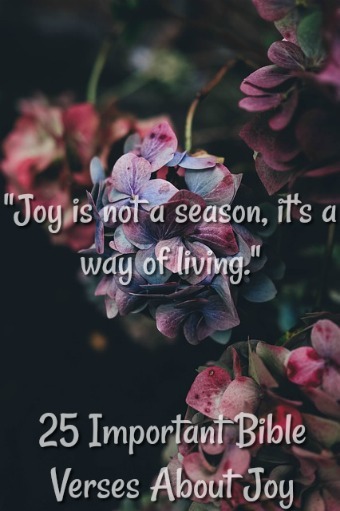 While Paul was in prison he wrote a letter to the Philippians and he told them to “rejoice always!” How could Paul say such a thing while he was stuck in prison with the possibility of being martyred? 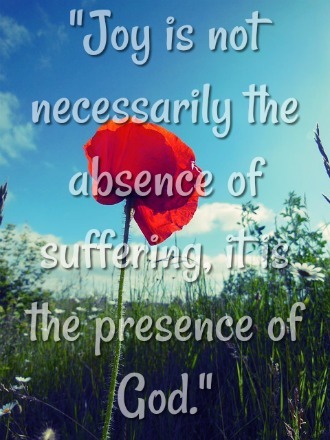 It is because the source of his joy was the Lord. Christ was victorious on the cross and now He is living inside believers. Our victorious Lord is living inside us and He will never leave us. Christ is the reason why we can smile in the pain. Christ is the reason why we can give the Lord praise in our trials. Instead of dwelling on your problems, dwell on Christ who is the solution. Having joy does not mean that we don’t voice our concerns to the Lord. However, we are reminded of His goodness and we have a God who encourages and comforts us. When I first became a Christian, I went through years of pain and loneliness. However, during that time I was rooted in the Lord. I was constantly seeking His face in prayer and in His Word. I had peace and joy during those times of uncertainty. As I look back, I know the reason for my joy during those hard times was the Lord. The reason I did not enter into a state of despair was because my joy was coming from Him and I knew that He was sovereign over my situation. Always remember this, there is so much strength in making Christ your focus. The deeper we get into sin the deeper we feel the effects of sin. Sin brings shame, anxiety, emptiness, and sorrow. There is so much joy when we surrender our lives to Christ. There is joy in obedience not because we are trusting in our own merit, but because we are living in God’s grace. His grace is our daily strength. We were made to abide in Him and when we are not abiding in Him we feel and become weak. Abiding in Christ entails various different things such as depending on His grace, abiding in His love, walking by faith, trusting Him, cherishing His Word, and being obedient to His Word. There is joy in obedience because of the great price that was paid for us on the cross. We were not created to be alone. If we are not involved in a community, we are hurting ourselves. As Christians, we are told to encourage our brothers and sisters. We need to continually remind each other of where our joy comes from. We need to continually remind each other to focus on Christ. Community is essential on our walk with Christ and it is essential for joy.